Cooper Jarnagin has always been drawn to the rich history of admiralty law and its application in today’s fast-changing world. After spending years practicing maritime litigation defense, Mr. Jarnagin has developed deep insight into how to favorably resolve his clients’ disputes in an efficient manner, while also preserving and creating favorable law for future matters. Mr. Jarnagin has represented numerous clients including the world’s largest cruise lines. His cases have ranged from high-exposure maritime passenger and crewmember claims alleging sexual assault, over-service, wrongful death, medical malpractice, failure to evacuate, unsafe workplace, failure to provide maintenance and cure, and traumatic brain injury. Mr. Jarnagin’s experience also includes assisting in the defense of a class-action lawsuit alleging unpaid wages and assisting in defense of litigation with over 250 passengers’ claims following an engine room fire. 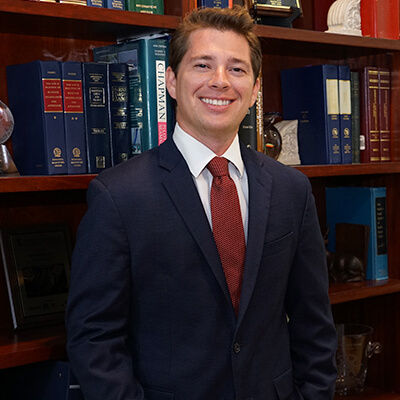 Mr. Jarnagin manages every aspect of litigation from beginning-to-end, including initial investigation, written discovery, taking and defending depositions, dispositive motion practice and trial preparation — he considers the big picture while steering each case towards the best possible resolution. He is fundamentally results-driven and strives to maintain open lines of communication with opposing counsel so as to expedite the resolution of issues. This approach can save clients substantial time, effort, and money. Mr. Jarnagin resides in Jupiter, Florida, where — in his free time — he enjoys boating, going to the beach, and watching Florida State football.